But this time, somehow … I simply had no idea that would have absolutely excited me. A new project has to charm and fascinate me, otherwise it will not work. 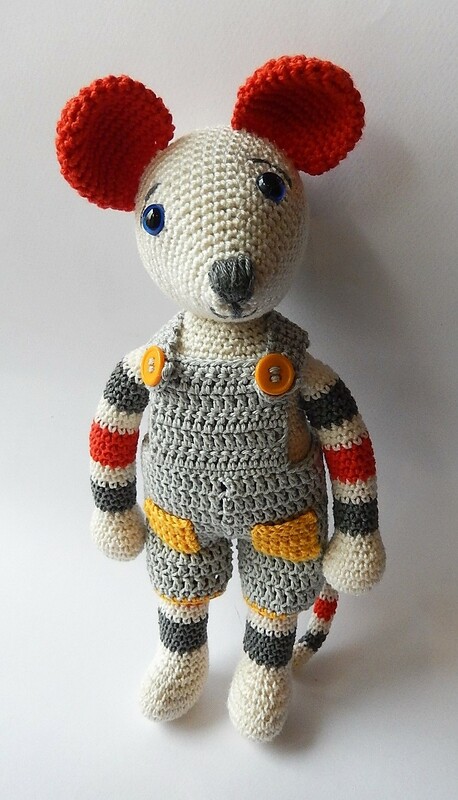 To write a pattern for an Amigurumi is often associated with a lot of unraveling. Sometimes I notice, when I’m crocheting the head that the legs are too short, too long, crooked or something else looks strange. I had time now, but this time it just did not fit. Even surfing the Internet did not help, nothing could inspire me. So I decided to read a book. Just as I had made myself comfortable with the book, I saw my mice that I had not put away yet. And there it was: The idea, the fascination, the desire to try something new: the mice needed clothes, after all it was bitterly cold. 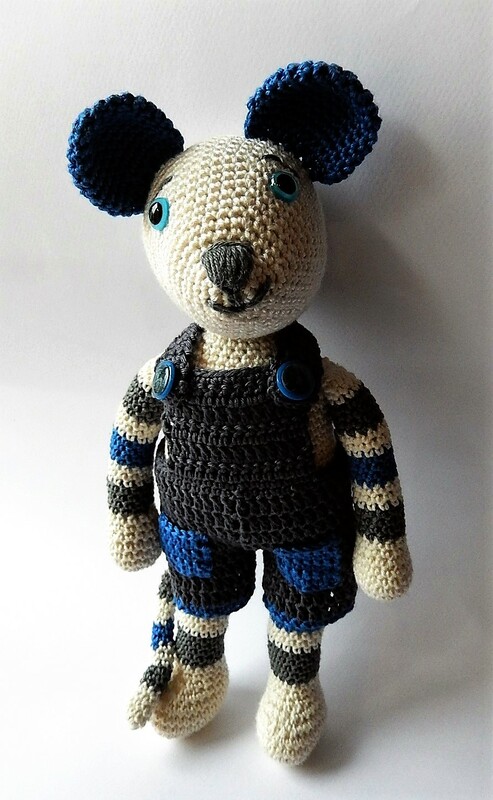 First, I designed dungarees for Hector – and because Hector looked so cute in it, I also crocheted one for Paprika. 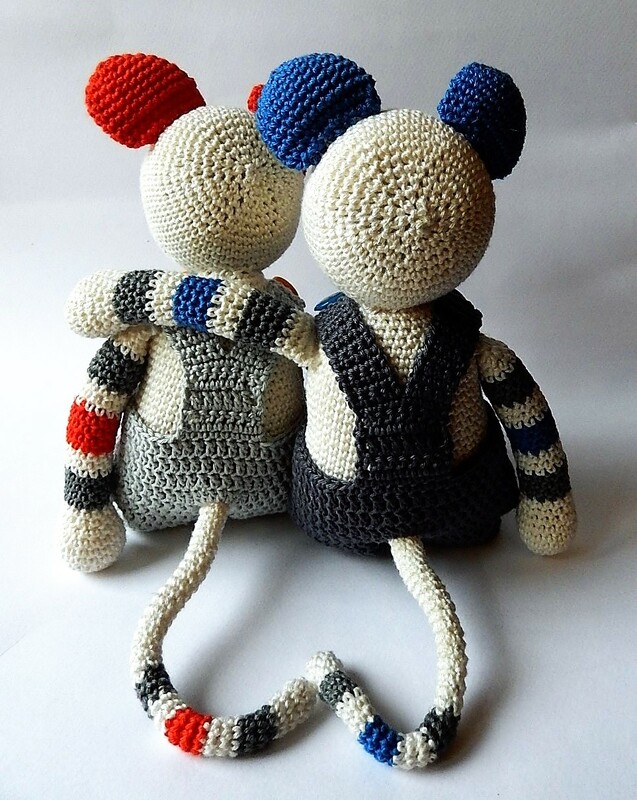 A dress for the Mouse girl is already in progress and shoes and … but I will show you this in my next post. 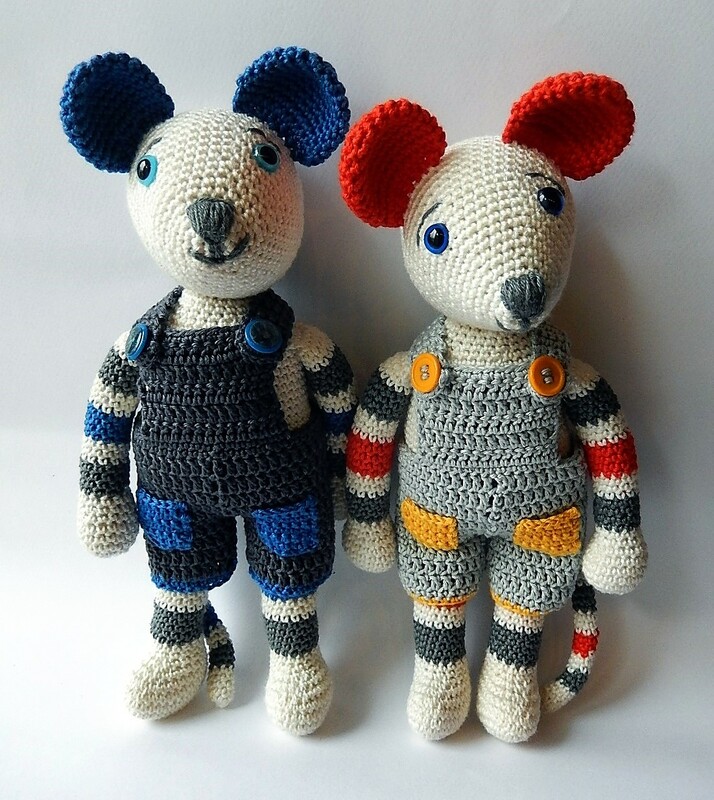 Just a little hint: The mouse and the dungarees are crocheted with Catania Schachenmayr and a crochet hook 2.5. 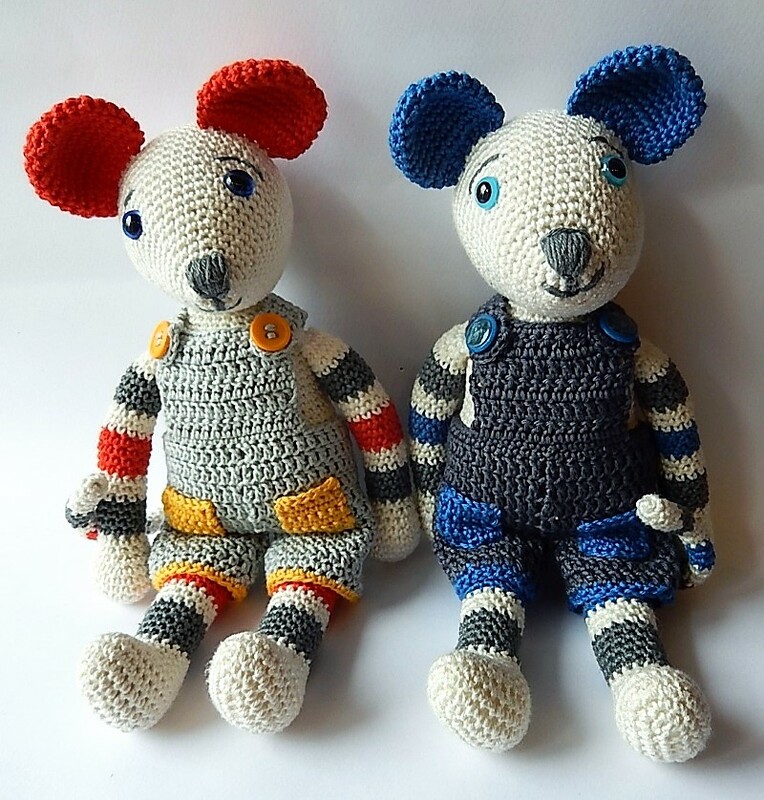 If you have used other wool for the mouse, you must also use the same wool for the clothing. If you have any ideas or wishes for the mice, you can send me a message. I also thought of a few accessories, such as a school cone or a schoolbag, what do you think? So sweet!!! And love their adorable outfit!!!! !